The non-profit Michigan History Project has discovered a treasure-trove of historic musical recordings made in Ann Arbor, Mich., during the 1960s by such artists as Joni Mitchell, Neil Young, Tim Buckley, Doc Watson, Odetta, and others. The professional-quality recordings were made at Canterbury House, then and now home to the Episcopal student ministry at the University of Michigan. In the sixties, Canterbury House was an inclusive place of worship that also served as a countercultural nexus and hip music venue where top-name folk and blues acts would play. 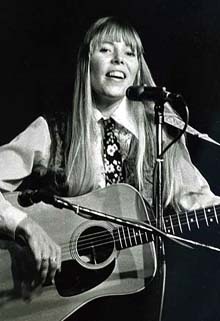 The discovered 7-inch reel-to-reel audio tapes include a series of concerts by Joni Mitchell from 1968, a performance by Neil Young from that same year, and shows by other folk, blues, and bluegrass artists including Tim Buckley, Doc Watson, Odetta, Dave Van Ronk, David Ackles, the Jim Kweskin Jug Band, Len Chandler, Spider John Koerner, and the New Lost City Ramblers. The Michigan History Project, a 501(c)(3) non-profit organization with a mission of preserving and publishing the history of the state of Michigan, is looking for a record label that would be interested in releasing the Canterbury House recordings. "We learned of the existence of the tapes about six years ago," says Alan Glenn, president of the Michigan History Project. "They were in the possession of a private collector. Then they disappeared, and we were afraid they were gone for good. But a few weeks ago they resurfaced, much to our surprise and relief. Now our first priority will be to get them transferred to a digital format, then make sure that the original analog tapes are safely archived." Glenn adds that the recordings were made with the full knowledge and consent of the artists. "The tape machines were in plain sight and had been purchased by Canterbury. Student volunteers were usually sitting at the controls." Mastering engineer Chris Goosman, owner of Baseline Audio Labs in Ann Arbor, says that the quality of the recordings is exceptional. 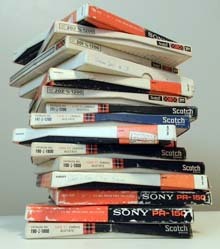 "As an archivist I deal with all sorts of tapes of varying quality and condition. These from Canterbury House aren't audience-recorded bootlegs but first-rate soundboard captures made on professional equipment. It's an amazing collection with the rare combination of being well-recorded and also well-preserved, and that makes it even more historically significant." Also discovered was a film reel of a Sunday church service at Canterbury House that was broadcast on CBS television in 1969 as part of the Look Up and Live series. Concerts at Canterbury House in the sixties were usually held on Friday and Saturday nights, and occasionally that week's musical guest or a visiting celebrity would participate in the Sunday Mass. Joan Baez, Jim Kweskin, Commander Cody, and the San Francisco Mime Troupe were some of these. In 1965, when the concert series began, the head chaplains at Canterbury House were the Revs. Daniel Burke and Martin Bell. "They were probably the two coolest people I knew," recalls Ed Reynolds, student manager at Canterbury from 1965-68. Soon Burke and Bell were joined by the Rev. Craig Hammond, a recent divinity school graduate who stepped easily into the role of Ann Arbor's resident hippie priest. Hammond helped push the boundaries to where Sunday services at Canterbury House were likely to include beat poetry, performance art, experimental films, sermons against the Vietnam war, and the congregation singing rock songs such as the Beatles' "Hey Jude" instead of traditional hymns. "Canterbury was totally in keeping with the moment, with the times," says Hammond. "It was a cultural, spiritual, and political force in a community that had come alive. It was exciting, it was dynamic, and never the same from one day to the next." 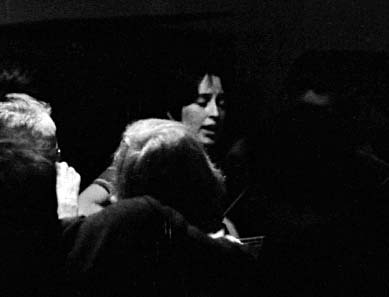 The Canterbury House concerts lasted from 1965-71 and included more than 150 different acts. Most of the shows were recorded but in the loose atmosphere of the day it was difficult to keep track of the tapes. When an assessment was made a few years ago it was found that there were very few recordings still resident at the ministry itself. The Michigan History Project is actively seeking the lost tapes which this discovery tends to suggest are out there, somewhere. Artists who played at Canterbury House for which no recordings have yet been found include: Gordon Lightfoot, Janis Ian, Frank Zappa and the Mothers of Invention, Tom Rush, Buddy Guy, Roosevelt Sykes, Richie Havens, Jesse Fuller, Jim and Jean, Ramblin' Jack Elliot, Doc Boggs, John Micaleff, Jeremy and the Satyrs, Skip James, Sun Ra, and Little Feat, among others. The Michigan History Project is also compiling a comprehensive history of Ann Arbor during the 1960s. CBS Inside Edition has featured the Michigan History Project's slide show of pictures from John F. Kennedy's whistle-stop campaign tour of south-central Michigan in October, 1960. The tour took place following the senator's famous Peace Corps speech on the steps of the Michigan Union in Ann Arbor. 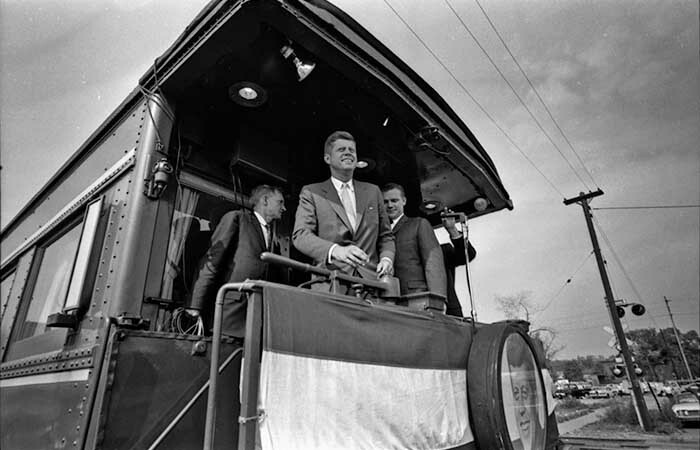 Kennedy's nine-car special covered nearly 250 miles of Michigan countryside and stopped in ten cities: Ann Arbor, Jackson, Albion, Marshall, Battle Creek, Kalamazoo, Grand Rapids, Lansing, Owosso, and Saginaw. "The Kennedy campaign temporarily left the airlanes and the electronic trial chambers of televison today for a brief excursion through nostalgia. The territory was the solid Republican districts of central Michigan and to reach them the Democratic presidential candidate went back to the campaign train." "It's a great book. I've got it in my office." Save your copy because WOLVERINE: A Photographic History of Michigan Football, Vol. 1 is now a valuable OUT-OF-PRINT collector's item! 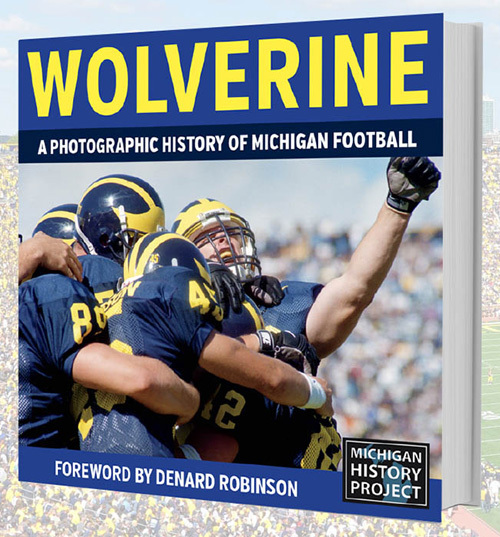 Featuring over 1,000 rare and previously-unpublished pictures, this book is a must-have for every Michigan fan and a great gift idea for all the Wolverines on your list. See at slide show of sample images at Michigan Today. The might and majesty of Michigan football is never more evident than when captured in the photographic image. The heroic blaze of the victors valiant. The iconic winged helmet, the onrushing wall of blue. The awe-inspiring spectacle of the Big House. That's why the Michigan History Project has produced a deluxe volume titled WOLVERINE: A Photographic History of Michigan Football, Vol. 1, as a showcase for more than 1,000 compelling images representing the great Michigan gridiron tradition from the early 20th century up to the present day. You've never seen the history of Michigan football told like this before! The Michigan History Project, a Michigan non-profit corporation, has been awarded 501(c)(3) status by the Internal Revenue Service. The Michigan History Project is a tax-exempt educational organization whose purpose is to preserve and publish the stories of the many extraordinary people and places that have made our state their home. The Michigan History Project supports the development and distribution of movies, television shows, illustrated anthologies, graphic novels, software apps, interactive e-books and other compelling cultural resources that tell the story of our state and also relate important, universal themes and ideas. As a 501(c)(3), donations made to the Michigan History Project are tax-deductible.